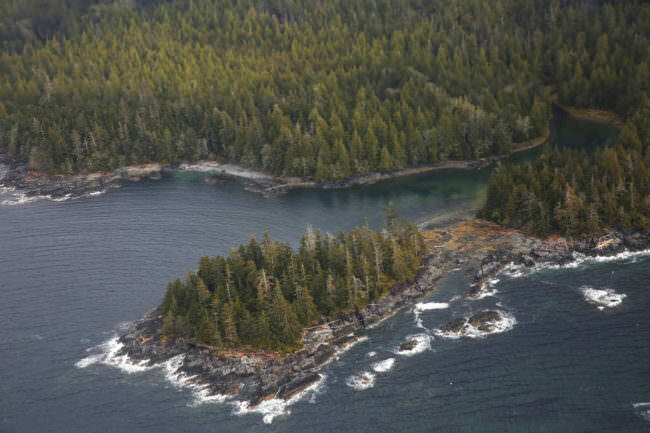 Congress can now deny the U.S. Forest Service’s move to transition away from old-growth logging in the Tongass National Forest. Conservationists and timber industry groups thought the Forest Service’s decision was finalized last year. But a letter submitted by Sen. Lisa Murkowski prompted the Government Accountability Office to look into it. The office determined Monday that Congress can review the forest service’s decision. The agency is now evaluating whether is should operate under the old or new plan. Owen Graham, the executive director at the Alaska Forest Association, says it’s a step in the right direction. Timber industry groups, like Graham’s, worried the Forest Service wouldn’t make enough young growth trees available, as the agency moved away from selling valuable old growth. Meredith Trainor, from the Southeast Alaska Conservation Council, says she didn’t agree with everything in the plan. She thought it left too much old growth on the table. But for conservationists, there were also some substantial wins. “We hope Sen. Murkowski won’t use her position to attack the Tongass land management plan amendment,” Trainor said. In a written statement, Murkowski praised the Government Accountability Office’s decision. Congress now has 60 days to decide whether to step in to deny the Forest Service plan. Editor’s Note: This story has been updated as new information has become available.